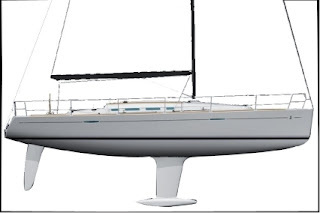 Beneteau's New First 40 is on the Sailing World Magazine list of Nominees for Boat of the Year. Set to make her debut at the Annapolis Boat Show in October, the Boat is sure to be another winner from the number one manufacturer of boats worldwide. 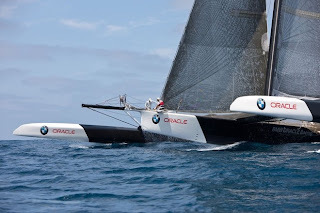 To see the Complete list of nominees visit Sailing World 2010 Boat Show Nominees. An 'all too common' sign of the times, was posted at Hannah's Restaurant in New Buffalo, Michigan this past Friday. 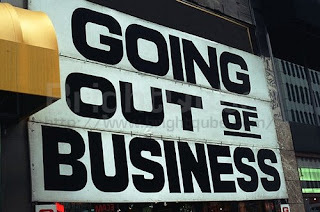 The 23 year old restaurant which was great place to go on Saturday nights in NB shut her doors- a victim of the downturn in the Economy. 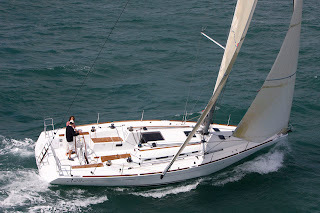 New Buffalo, MI is a great sailing destination for many sailors from the Chicago area. Some even have condominiums and/or slips there that serve as their weekend getaway from the big city grind. At KYS, Hannah's was always our Saturday night place to eat during the Michigan City Boat show- so we are sorry to see it close. Something for the sailing community to think about as this economic mess thickens- we need to support the businesses that are part of the Sailing Life by patronizing them with our presence. To read more about the Hannah's Closing in the South Bend Tribune. One of the coolest visualizations of the Race to Mackinac as seen through the work of photographer Ken Scott. This is a close second best to being there (with a few less flies). 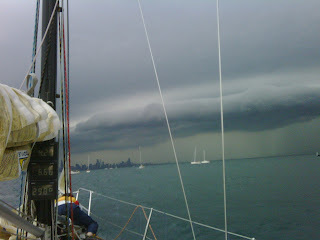 Preparing for a storm front aboard Karma during the 2009 NOOD Regatta. With as wet of a Spring/Summer season as we have had, it is more a matter of "When" versus "if" one of the many boats on Lake Michigan make see electrical interference courtesy of mother nature. The chances of thunderstorms over the water are increased on days when the surface temperature rises on land (warm/humid) and that is layered over by cold air patterns. This produces unstable air masses. The warm air filled with water vapor rises and mixes with the upper colder air and a thunderstorm is produced. What is a lightning strike? We all know what a bolt of lighting is. Lightning can be unnerving just ask any Dog. Lightning is formed by the difference between positive and negative charges. Lightning strikes when the electrical potential becomes greater than the resistance (insulation) of the air, and forces a conductive path to earth (ground or water surface) and will use the best conductor in its proximity. 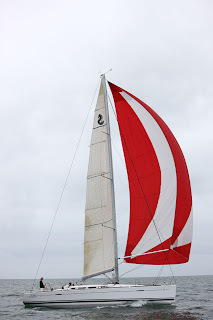 A boat will be a better conductor than air, so if you are close to a storm, lightning will look to you to find an easier path.What are the chances you will get struck? Note the highest incidents are on sailboats, due no doubt to the tall masts. Catamarans are even worse due to the width falling close to the cone of arc from a strike.What can happen when you are struck by lightning? Large merchant ships that are made of steel, are good conductors, and so when these vessels are struck by lightning as they often are, the voltage is dispersed to water by the vast quantities of steel plate. These vessels are relatively safe from lightning.However for small boats, once a lightening strike hits you and electrical charge gets into the boat, side flashes can destroy electrical instruments and engine controls, and knock holes in the side of the boat, as they find their way to water. Side flashesThis is not only expensive to fix it is a real safety issue. Holes in boats no good, destroyed engine and instruments no good.To help prevent damage to you and your boat, we need to provide a better conductor than the boat itself, so from the highest, or most extreme point, we need to provide a path to ground i.e. the water. 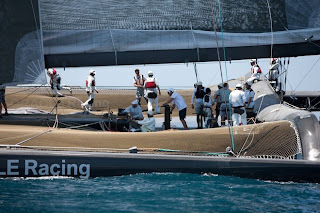 Sailgemini gives this report of a strike Here you can learn what they did in preparation and what damage occurred. They spent 3 months repairing the damage. Before we look at what you can do to prevent damage in case you are hit we will take a look at how you can avoid getting hit and what precautions you can take while out on the water. When on the water or going out on the water Check weather status. Thunderstorm generally appear in the afternoon, with 70% occurring between noon and early evening. watch for development of large well defined dark clouds. -Precautions to take if a storm is imminent. Depending on what kind of boat you are in, planning for a lightning storm or potential strike should include Protection of Human Life and essential boat equipment. -Put any movable electronics on the oven. This may sound silly but an oven is a faradays cage. 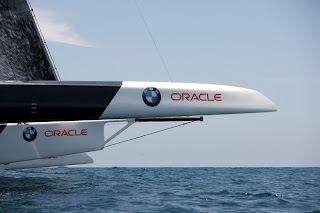 For the BMW Oracle Racing site. This week's picture of the week comes from the Channel Island's Race where skipper Arthur Manning really master the art of dry docking his boat. 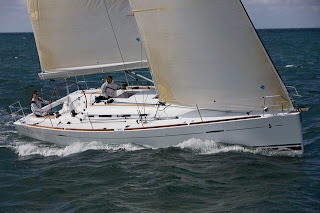 He successfully lodged "Knight Star" his Sadler Starlight 35 on the rocks during the race. 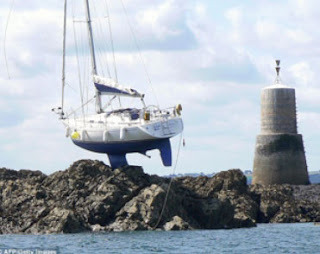 The boat had to be hauled off the rocks. Manning was cautious in putting fenders out in the event that the boat toppled over. Seems like the least of his worries at the time. 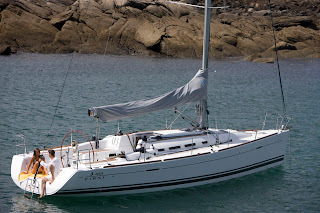 Nearby boats could be heard playing Neil Diamond's 'Love on the Rocks' in homage to his feat.